Play.com has announced a 'catch-free' ticketing service that's available now on its site. The service has secured the backing of the Association of Secondary Ticketing Agents (ASTA) and looks to take the tout out of ticket sales. The tickets available are for a whole host of events, including music, sport and the arts, and each sale houses no hidden extras – so the price you see is the price you pay. As with all other Play.com services, users don't even have to cough up for postage and packaging. And to deter any fraudulent activities, sellers of tickets won't get their money until a week after an event. So if something is cancelled, then no cash actually changes hands. Speaking about the new service, Richard Goulding, Founder of Play.com, said: "The ticket audience is a natural market for Play and a great service for our customers. 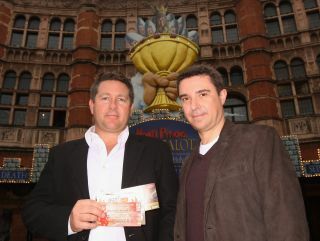 "Play.com Tickets provides a platform for fans of music, theatre and sport to buy and sell tickets. Play.com allow fans to set the price they want for their unwanted tickets." Launched just two days ago, the site listed 500,000 tickets in the first 24 hours of going up for 25,000 different events. These included: Kings of Leon, Oasis and The Mighty Boosh Live.